No. 1 shopShanghai Yishiduo E-commerce Co., Ltd. The No. 1 store, an e-commerce website, was launched on July 11, 2008, which pioneered the “online supermarket” of the Chinese e-commerce industry. The company has independently developed several sets of e-commerce management systems with international advanced level and has a number of patents and software copyrights. It has invested heavily in system platforms, procurement, warehousing, distribution, and customer relationship management to create its own core competitiveness. To ensure that high-quality goods can be distributed at low cost, quickly and efficiently, allowing customers to fully enjoy the new lifestyle and affordable and convenient shopping. The No. 1 store is the first online supermarket in China  , and was jointly established by the former top 500 Dell executives Yu Gang and Liu Junling in Shanghai Zhangjiang Hi-Tech Park. Prior to joining Dell, Yu Gang served as vice president of Amazon’s global supply chain, where he transformed Amazon’s supply chain and achieved great success; at Dell, he was responsible for $18 billion in procurement. Liu Junling was selected as the top 10 financial figures of China's IT industry in 2005 and the top 10 news figures in the computer world in 2006 . The two of them lead the team and can complement each other, and they hold the same values ? ?- to bring value to customers. In July 2008, the website of No. 1 Store was formally launched. Since its inception, No. 1 stores have continued to maintain a high-speed growth momentum, achieving sales of 11.54 billion yuan in 2013. No. 1 shop has become China's largest B2C food e-commerce. The culture of the No. 1 store is very simple, and it is called "The Eight-character rumors": Integrity INTEGRITY, Customer CUSTOMER, EXECUTION and INNOVATION. The five platforms independently developed by No. 1 store are super-platforms with high efficiency, low cost, high compatibility, and scalability. Based on the existing seven major operation centers in Beijing, Shanghai, Guangzhou, Chengdu, Wuhan, Quanzhou and Jinan, No. 1 store opened the largest automated B2C e-commerce warehouse in southern China in Hongmei, Guangdong, and launched a "And launch the "National Free Shipping" policy. Powerful PIS system (price intelligent management system). The No. 1 store PIS system monitors the price and inventory information of more than 70 million mainstream e-commerce merchants in real time, and adjusts prices in real time based on the price strategy of store No. 1 to ensure the competitive advantage of No. 1 store for customers. money. At the same time, in terms of price regulation and supervision, No. 1 shop went on the benchmark price process in 2013, and set up a special person within the company to take charge of price inspections, and more stringent and standardized management of prices through systematic and manual methods. In order to reduce the damage rate and improve logistics efficiency, No. 1 Store has launched a “Pallet Sharing System” that has been adopted by multinational giants such as “Brand Through Train” cooperating brands such as Bao Jie, Unilever, Nestle, Pepsi, etc. ; and “Brand Express” It is a model innovation of No. 1 shop. It has reached the “through” level of sales information, marketing campaigns, inventory stocking, logistics green channels, customer satisfaction, operational data, and global experience at seven levels with 300 global brands of global consumer goods giants. 1 Stores provide customers with products and services that are safer, more reliable, and more competitively priced. In 2013, for the first time, the category of “enterprise-level strategic categories” of mobile phones had outstanding performance. The market share of online sales of mobile phones in No. 1 stores has ranked among the top three in China’s B2C e-commerce industry. As a category with barrier-level advantages, No. 1 stores still firmly occupy the market share of China's B2C e-commerce industry in terms of food and beverages, especially imported foods. The annual growth rate of food and beverage sales exceeded 100%, of which the annual growth rate of imported food was as high as 137%, showing the potential of No. 1 store in the import field. Just imported a category of milk, No. 1 shop has nearly 300 kinds of products from more than 70 brands in 29 countries and regions. According to data from China Customs, as of November 2013, the sales volume of imported milk from No. 1 store accounted for 37.2% of the total import volume of the country's customs. This means that of the 10 boxes of imported milk sold in China, nearly 4 boxes come from Shop No. 1. In the department stores that major e-commerce companies have seized, No. 1 stores have also maintained their leading position in the industry. In 2013, the sales of department store category No.1 doubled, while the segment categories such as shampooing, bathing, feminine care, and oral care products maintained the first market share in China's B2C e-commerce industry. He founded the Collai Hi-Tech Company in the United States as President and Chairman. In 2002, the company was sold to Accenture. Master's degree in physics from Cornell University. He previously served as Regional Vice President at Ovi Systems Inc. in the United States and is responsible for Channel Sales and Alliances in the Asia Pacific region. Master of International Business, Flinders University, Australia . In July 2015, Wal-Mart said that store No. 1 was in a transitional period and Wal-Mart’s headquarters Wang Lu would be assigned to take over, while Wal-Mart’s executives Roger and Daisy would serve as temporary leaders and coordinators. At the end of 2013, Shop No. 1 had more than 57 million registered users and more than 10,000 employees. In July 2008, the website of No. 1 Store was formally launched to provide one-stop online shopping for customers. September 2008 The 10th customer was born. February 2009 The 10th millionth user was born. September 2009 The 1 millionth user was born. In January 2010, there were more than 40,000 online products, which surpassed the product categories of supermarkets under the medium-sized line. March 2010 The 3 millionth user was born. April 2010 To adapt to the rapid development of the business, the Guangzhou Storage Center was put into use to provide faster and more efficient delivery services for customers in the Pearl River Delta with Guangzhou as the center. In May 2010, No. 1 Medical Network, No. 1 Drug Network, and Information Network were fully launched to provide more comprehensive services to meet one-stop consumption needs. In May 2010, Ping An invested 80 million yuan to acquire 80% equity in No. 1 store. August 2010 Over 50,000 online products. September 2010 The 4 millionth user was born. September 2010 Won the title of "Top 100 E-Commerce Companies in China in 2010", and was awarded "Top 10 B2C E-Commerce Enterprise Awards". 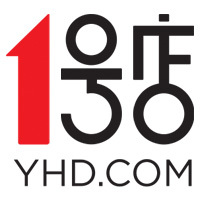 October 2010 "Infinite shelf" shop-in-shop project officially launched, and innovatively launched the new cooperation model of Fulfilled by Yihaodian. November 2010 The Auto Parts Division was established to provide the best auto parts procurement and service providers. January 2011 The Wuhan Technology R&D Center was established and plans to recruit 400 professional and technical personnel to build the core R&D base of No. 1 shop. In March 2011, Shanghai New Library was put into use, and the storage area in Shanghai exceeded 60,000 square meters. In March 2011, the number of registered members exceeded 8 million. April 2011 Invited well-known film and television actor Hai Qing to serve as a spokesperson for the brand image  and launched the new Slogan "No. 1 shop just for a better life." In May 2011, Wal-Mart bought shares in No. 1 shop, which represented 17.7% of the shares. June 2011 Online sales of 100,000 products. July 2011 Registered members exceeded 10 million. In July 2011, warehousing and logistics centers were opened in Wuhan  and Chengdu respectively, providing one-stop shopping for customers in central and southwest China. In September 2011, there were 120,000 kinds of products sold online at Shop No. 1. Fresh products are officially launched on a large scale, creating a one-stop “online food farm”. October 2011 The number of employees exceeded 4,000. November 2011 More than 150,000 products were sold online.